I’m Ed Smith, a Citrus Heights personal injury lawyer. Reckless driving in California can be charged when a driver exhibits wanton or willful disregard for others on the road or for property. Because a reckless driver exhibits certain characteristics to be charged, it may also include criminal charges if this behavior results in an accident that caused injury or the death of another person. 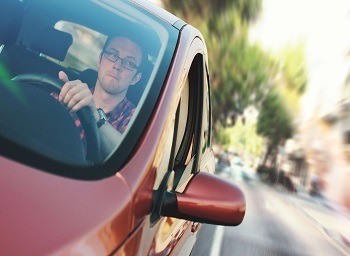 Many actions by a driver can be considered reckless driving because they are actions that endanger others and show a lack of concern by the driver. The following represents some actions that are considered reckless driving. Expenses for medical costs: Necessary medical expenses can be recovered that include hospital bills, doctor bills, prescription medicines, lab tests, rehabilitation and others. When the injury is permanent or ongoing, future medical expenses are taken into account. Earnings losses: The money you would have been paid at your job while out of work is recoverable, along with any bonuses or other monies. It is also recoverable if you are self-employed. If the injury is expected to continue into the future or affect your ability to do your job, those monies are also recoverable. Pain and suffering: You can be compensated for both your physical pain and mental suffering caused by the accident. Mental suffering includes flashbacks, anguish, depression, sleeplessness and other symptoms for which you require professional treatment. Scarring or other disfigurement: Embarrassment or humiliation caused by an amputated limb or unsightly scarring can be financially compensated, including the cost of plastic surgery to repair damage. Damage caused to a marriage: Injured persons may recover compensation for loss of marital affection, assistance and other damages caused to the relationship between the married couple. Loss of comfort, moral support, consortium if the decedent was married, along with guidance and training the decedent would have given his children. I’m Ed Smith, a Citrus Heights personal injury lawyer. Reckless driving causes many accident injuries and deaths each year. If you or your loved one was injured by a negligent driver, you may be able to obtain compensation for your financial losses. For free, friendly advice, contact me at (916) 921-6400 locally or (800) 404-5400 for long-distance callers. On my website, AutoAccident.com, you can also find a contact form. For 36 years, I have represented the residents of Citrus Heights and Northern California for their personal jury cases, including wrongful death and brain injuries. I belong to Million Dollar Advocates, a forum for trial attorneys who have won million dollar trial verdicts or settlements for clients. To learn about some of our past cases, please visit Verdicts and Settlements.